Here is Below are Box office collection report of Bollywood Movie 'Kaabil' With his Budget, Profit & Hit or Flop status. also including of the movie lead star cast Hrithik Roshan, Yami Gautam, Ronit Roy, Rohit Roy. 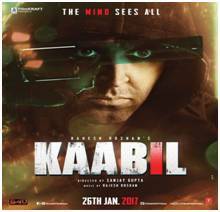 Kaabil is an Indian Drama film of 2017, directed by Sanjay Gupta & produced by Rakesh Roshan. And while Raees has zoomed ahead to Rs 93 crores + in collections, thanks to its mass entertainment plot & riveting performance by SRK, Kaabil is not lagging too far behind. In fact, on the back of positive feedback for Hrithik and the plot, the movie has collected a tidy Rs 67+ crore. 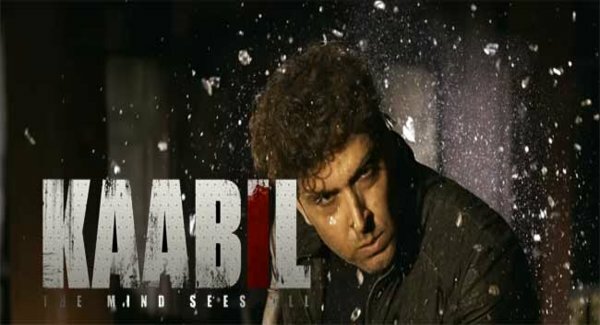 Kaabil is a 2017 Indian hindi action crime thriller movie. It is releasing on nearly 2600 Screens Worldwide screens, Film is released on 25th January 2017. For starters he lovingly sets up the beautiful world of a blind couple Rohan, a proficient dubbing artiste and Supriya, talented pianist who despite their handicap have a positive disposition towards life. In just two scenes you can feel their love.